Glitz and glam was on the menu at The 3rd Annual Northern Ireland Food Awards 2018. 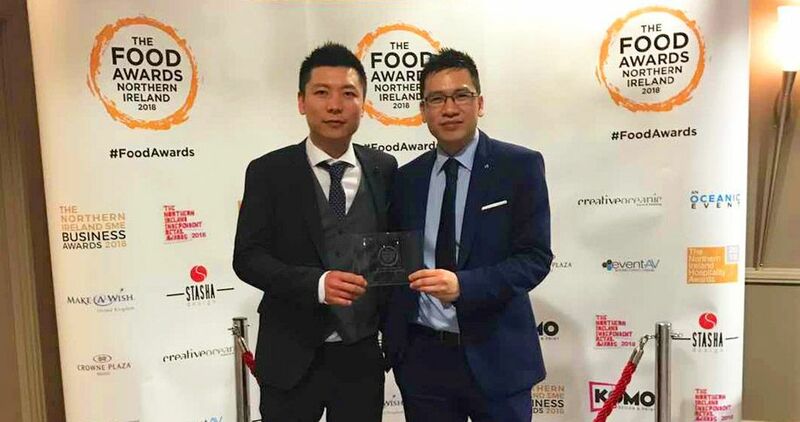 Bravo Live Cuisine was awarded the Best Buffet Restaurant at the glamorous awards ceremony, beating off competition such as Cosmo (Belfast), China China (Belfast) and Moghul Restaurant (Belfast) amongst others at the Crowne Plaza, Belfast on 4th June 2018. Since opening in 2016, Bravo has become one of the most popular dining choices for customers in the Newry & Mourne area and beyond. Our customers embrace the most authentic flavours and enjoy trying various cuisines from all corners of the world. From family get together’s to couples on a date, Bravo is sure to have something for everyone. We have a great team of people behind Bravo Live Cuisine so I would like to thank them for all of their hard work and effort every day. I am very grateful to every member of the team and feel very proud to be working alongside them.